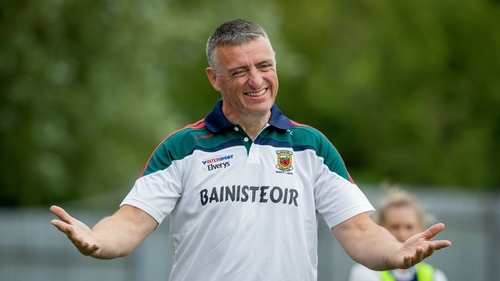 Mayo manager Peter Leahy has handed League debuts to Laura Brennan, Roisin Flynn, Ciara McManamon, Noirin Moran, Dayna Finn and Emma Needham for Sunday’s home fixture with visitors Tipperary, who are without the services of Aisling McCarthy, as she prepares for a season with the Western Bulldogs in the Australian Women’s AFL. Mayo will be captained by Niamh Kelly, while Samantha Lambert will lead the Premier County into an historic season in the top flight. Also on Sunday, Westmeath host Monaghan. Fiona Claffey will captain Westmeath, with Cora Courtney confirmed as Monaghan skipper. Mayo: L Brennan; N O’Malley, R Flynn, D Caldwell; K Sullivan, Ciara McManamon, N Moran; Clodagh McManamon, D Finn; S Cafferky, E Needham, N Kelly (capt. ); F Doherty, R Kearns, G Kelly. Tipperary: L Fitzpatrick, L Spillane, M Curley, E Cronin; A.R. Kennedy, S Lambert (capt. ), C Maher; R Daly, E Fitzpatrick; R McGrath, A Moloney, L Dillon; A McGuigan, C Condon, A Fennessy. Westmeath: K Walsh; R Dillon, J Rogers, L Power; F Coyle, K McDermott, F Claffey (capt. ); K Boyce-Jordan, V Carr; L McCartan, L Slevin, J Maher; S Dolan, A Jones, M.A. Foley. Monaghan: A McCarey; L Flynn, S Coyle, H McSkane; N Kerr, A McAnespie, C Treanor; M Atkinson, R Courtney; A McCarey, C Courtney (capt. ), E McAnespie; E Woods, L Maguire, C McAnespie.